It’s Morphin’ Time! To celebrate the release of the action-packed POWER RANGERS on March 24, starring: Dacre Montgomery, Naomi Scott, RJ Cyler, Becky G, Ludi Lin, Elizabeth Banks, Bill Hader and Bryan Cranston, we have a super cool Battle Zord to giveaway to a lucky winner. Take down villains with your very own POWER RANGERS Battle Zord! The Zord has awesome interactive functions, which will place you right in the action! 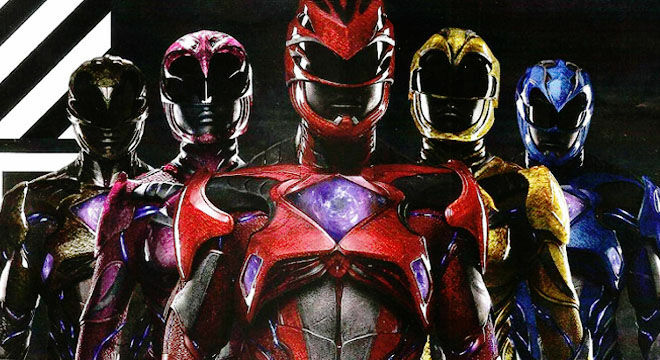 POWER RANGERS arrives in UK cinemas on March 24. To win a Battle Zord of your own, simply watch the trailer and answer the question in the comments below. What did the POWER RANGERS find underground? • Competition opens on 23 MARCH 2017 at 17:00 GMT. • Competition closes on 20 APRIL 2017 at 12:00 GMT. • Entrants must be aged 15 or over when entering the competition and resident in the UK. The Promoter has the right, at its discretion, to request proof of age and residence for the winners to receive the prize. Entrants under 18 must make sure that their parent/guardian have consented to their entry into the competition and to these Terms and Conditions. • Entry is free of charge. • Entrants will need access to the internet to enter the competition. • To enter the competition entrants must answer the question correctly by posting A, B or C in the comments below the article and by the competition end date. • Only one entry per person will be considered. Multiple entries will not be accepted. Any entrant found to be using multiple accounts to enter will be deemed ineligible. • Prize for the winner is one (1) Power Rangers Battle Zord which is non-refundable and non-transferable. • Winner will be chosen at random and contacted by a representative from GEEK PRIDE by direct message to their Twitter profile by 20 APRIL 2017. • Proof of submission shall not be proof of receipt. Entries that are incomplete, incorrectly filled in, illegal, illegible, in the incorrect format or fraudulent or those not received in accordance with these Terms and Conditions will be deemed invalid and not accepted. The Promoter does not accept any responsibility for technical failures which prevent an entrant from submitting an entry and no responsibility will be accepted by the Promoter for entries lost, corrupted or delayed in transmission. • If a winner fails to respond within 24 hours of notification, the prize will be forfeited and an alternative winner(s) will be contacted. • The Promoter is Lions Gate International (UK) Limited of 5th Floor, 45 Mortimer Street, London, W1W 8HJ (Company No. 08936180). The competition is run in association with GEEK PRIDE. • This competition is not open to employees of Lions Gate International (UK) Limited or GEEK PRIDE or associated agents of those companies or anyone else professionally connected with this competition. • The Promoter reserves the right in exceptional circumstances to vary, amend or withdraw this competition on reasonable notice. • There is no cash or other alternative to the prize stated and the prize is not transferable and no part of the prize may be substituted for other benefits, items or additions. • The prize may not be sold, offered for sale or used in connection with any other competition or promotion by the winners. • By entering the competition, the winners give consent for their name, contact number and address to be passed to a third party provider for delivery of the prize. Save for the exception above, the Promoter will not pass any personal data to any third party unless required to do so by law or an appropriate regulatory authority. • The Promoter will not be responsible for failure to deliver the prize caused by the delivery/postal service. • By entering the competition, entrants are sending their personal information to the Promoter who will at all times process an entrant’s personal data in accordance with the UK Data Protection Act 1998 and applicable laws. • To the fullest extent permitted by applicable law, the Promoter assumes no liability for any claim, loss or damage arising (whether directly or indirectly). • The Promoter’s decision is final and binding on the entrants. No correspondence will be entered into. • Entry into the competition constitutes acceptance of these Terms and Conditions.